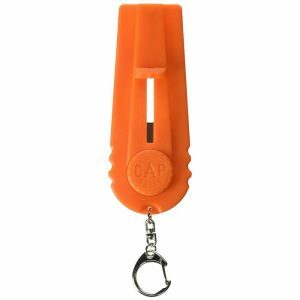 Squeeze a little fun out of them before you throw the little metal crowns away, with the Cap Zappa bottle opener cap shooter ! Bottle caps are very efficient for their intended purpose but they are a pretty useless item once removed. 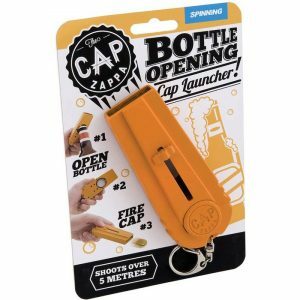 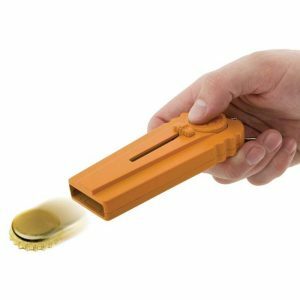 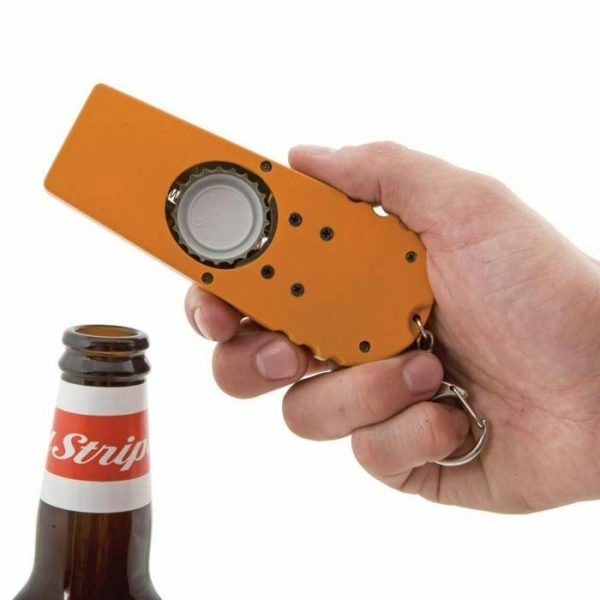 As well as opening bottles, the Cap Zappa cap shooter can launch them into the air and shoot them at a distance of over 5 meters. 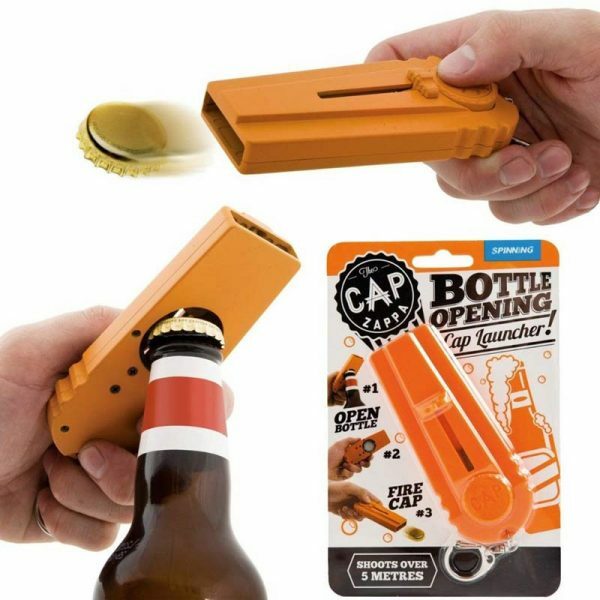 Perfect at parties and as part of drinking games, pop the cap, aim and fire, but do be careful where you shoot. 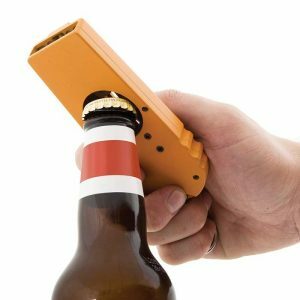 Launching things into the air never loses its novelty factor! Please Note: Use the cap launcher responsibly and with care.